How many times have you sat down with a pen and a blank sheet to complete something? A multiple times, isn’t it? But have you ever given a thought as to why that piece never worked out well? Let me explain it in simpler words. Content Writing as a profession is tricky because the whole purpose of writing a piece is to grab user’s attention and keep him/her engaged till the end. But how to do that you might ask? It’s much simpler than you think. In a nutshell, the more elaborate you get, the better experience your readers would get. More than experience, it would be the connection, users will have with your blog/website that matters. 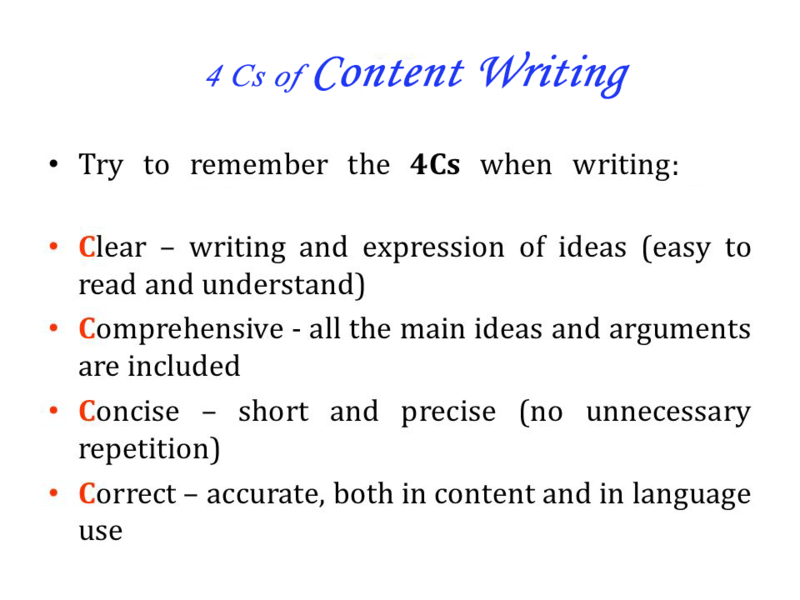 Its one of the most important C’s in the field of Content Writing. No matter which profession you belong, following and having right knowledge of rules of grammar is a must. One must follow the rules of grammar, punctuation properly and must also avoid typo’s. Mistake in any of the areas can easily confuse your reader and subsequently can also impact your authenticity. There are endless web-links and online guides to teach you the right rules of vocabulary. But if need be, you can also keep a small dictionary or a thesaurus to assist you without relying completely on your gadget. You must use your commonsense, and should never rely solely on the online spellcheckers to proofread the content. Now before you ask, how to improve the proofreading skills, just follow the web-link and then you can thank me later for this guide. The more you write, the better you become. Have the power within you to JUST BEGIN . So, write more and inspire more people in your vicinity to make this world full of amazing writers. 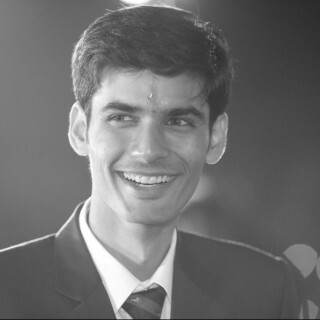 Manu Mathur is a content developer by profession. An avid blogger and a reader. A humanitarian person who loves tinkering with gadgets and is driven by music. Thanks a lot, Shikha. Am glad you find these tips useful. Keep following the blog for more useful posts. I’m glad I got this post. Very helpfu and will include all these in my blog post. Thanks for sharing. Thank you for your appreciation. 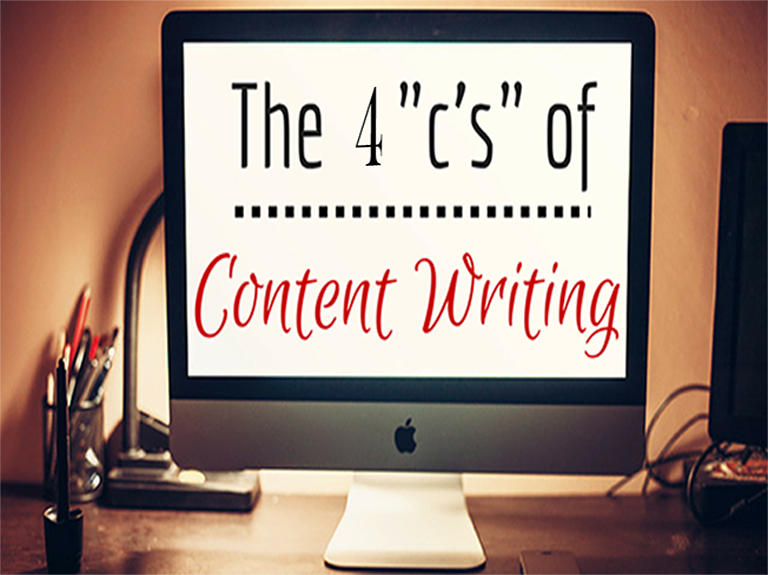 Yes, you can try incorporating these 4-steps in almost every content piece you write, rest it depends solely on the type of content you intend to curate. I am glad this post helped you gain insight into the basics of content writing, which even experienced writers fail to understand at times. This article will help me to improve my writing skill and off course other content writers also. Yes, this blog post was curated with the same motive in mind. Many new writers often look for a complete step-by-step guide reading which they can learn the basics of writing. So, this blog post serves the purpose and helps every amateur writer embark on the beautiful journey of content writing. Thanks for your kind words. I feel delighted when I see users are liking the content and more than likes, it helps them gain knowledge. Its great to know that after reading this blog post, you got fresh content ideas for yourself. with gadgets and is driven by music. Subscribe and Get Regular Updates!